HERE we go, ladies and gentlemen! What we’ve been waiting for. 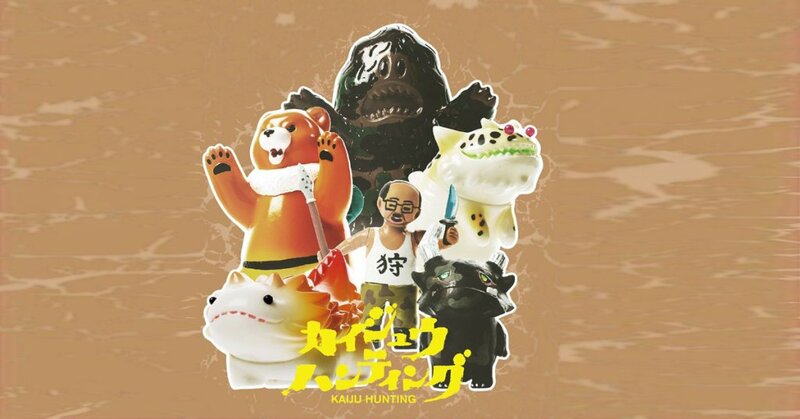 Since last years debut of Paradise “Kaiju Hunting” sofubi series which featured mini sofubi figures by Yukinori Dehara, Konatsu, Uamou, Dan Kaiju, T9G and Shoko Nakazawa at Taipei Toy Festival 2017. We’ve been on the looking forward to fully painted versions. NOW THEY ARE HERE! Did anyone notice this might be a blind box style release especially with the ratios?! Let us pray international release will be released in the near future. Stay tuned for further updates. 2018 年 4月5日- 4月7日 上海世博展览馆 at Shanghai Toy Show 2018. Keep up-to-date with all your Designer Toy news with the TTC Mobile App! Available right now to download on to your Apple iPhone or Google Android smartphones!